Spectacular End Unit Condo. This 3BR, 3BA marina front condo was designed with an open floorplan with multiple floor-to-ceiling windows, large master suite with sitting area, master bath with dual vanities and separate shower and tub, roomy kitchen with eat-on bar and utility room and a spacious covered deck overlooking the world class fishing marina of Pirate's Cove. Sold furnished, this investment property's interior features include 9FT ceilings, gas fireplace, granite countertops, and ceramic tile floors. Building features include reserved parking, ELEVATOR, storage closet and located only steps from our on-site restaurant and Tiki Bar. 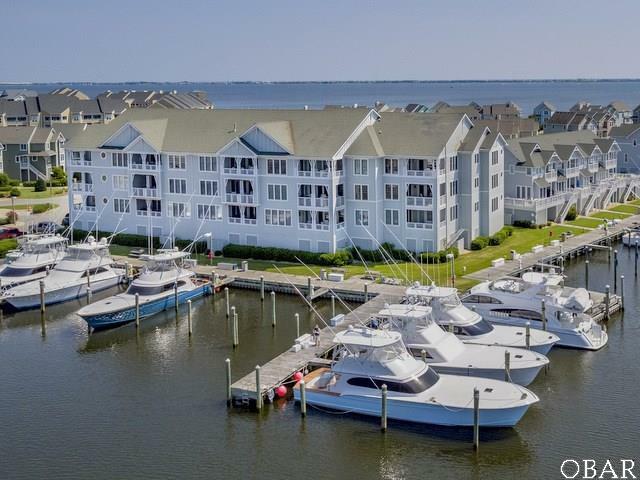 Pirate's Cove amenities includes swimming pools, tennis courts, renovated fitness center, clubhouse, playground and miles of perimeter docking perfect for fishing or walking. Listing courtesy of Elizabeth Cloninger of Pirate's Cove Realty - Kdh.